As many as two-thirds of shared houses in Bournemouth do not have a mandatory licence, the council estimates. The five-year licences are granted to properties that meet living and fire safety standards. In October, the government redefined which properties were houses in multiple occupation (HMOs), meaning an increase in those needing to register. 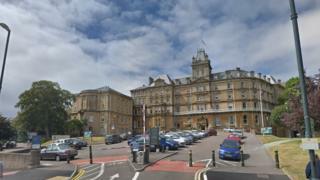 Bournemouth Borough Council said formal action would be taken against landlords who failed to comply. A report estimates 3,000 homes in the borough fall under the revised legislation, but only about a third have gone through the application process, the Local Democracy Reporting Service said. The council said it had issued 572 licences in the last 12 months. The report by the head of regulatory services Kelly Ansell said: "Prosecution or penalties of up to £30,000 may be issued for not holding a licence and this may lead to the landlord being placed on the national rogue landlord database or having a banning order placed upon them." Last year the authority prosecuted several property management companies and individuals following concerns about the condition of HMOs. An HMO is rented accommodation occupied by people from different households. Many of Bournemouth's HMOs are occupied by students.